We are offering Hydraulic Skin Pass Machine to our valuable client. We Yashwant Industries are established in the year of 1990, are a leading company of the industry involved in Manufacturer a wide assortment Spinning and Hydraulic Machine. 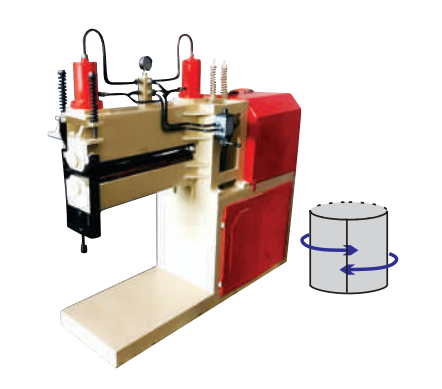 Our product range consists of Deep Draw Press Machine, Press Machine, Longitudinal Welding Machine, Cutting Machine, Bending Machine, Swaging Machine, Forming Machine etc. Our whole range is precisely designed under the guidance of an experienced team of professionals. We are offering our products at a normal market price. Along with these products, we are also offering after sales services to our valued clients. We have supported by a highly modern infrastructure unit over a vast area which is laced with all the upgraded tools and equipment to fabricate the desired product range as per the detailed specifications of our clients. We are also supported by a team of highly experienced and skilled professionals which enable us to manufacture the offered products as per the industry approved parameters. To assure it, each product is strictly manufactured by following the suggestions given by our R & D team and further stringently checked in our quality-testing unit. We have a huge client base across the nation.